Last week job seekers from Sunbeam House Services took part in the annual Job Shadow Initiative. This exciting event which is run throughout Ireland gives people with different abilities the opportunity to explore the world of work and to gain an understanding of the skills and education required to compete, develop and succeed in the workplace. This is the third year for this to take place and it has proved a huge success each year with nearly 500 job seekers taking part last year. Connect Employment, a division of Sunbeam House Services, took the opportunity to support a number of job seekers and local employers to get involved. Connect Employment supports service users of Sunbeam House Services to access employment and since it was set up in 1988 it has grown rapidly and currently Connect Employment support over 180 people throughout Co. Wicklow to find, secure and maintain employment in the community. People with different abilities gain empowerment from fulfilling a social role like having a job and can prove that they are a valued member of the community. The experience is also very positive for employers as they gain an employee who is eager to excel at their job, eager at all times to stretch their capabilities and eager to get on well with everyone they work with, as well as promoting their business as an inclusive workplace. Owen Kavanagh of N. Kavanagh’s pub on Arklow main street provided Jason Dixon (Aughrim) with some valuable experience working in his bar. Jason, who has previous experience working in a bar, spent the morning serving customers and learning more about what’s involved in bar work. 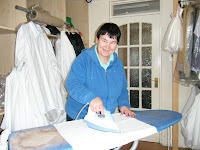 Annette Doyle (Rathnew)spent the afternoon with Bernie Fortune in Brookside laundrette and found the experience very enjoyable. Bernie knows the value of hiring a person with a disability as she employs Elizabeth, also a service user at Sunbeam House Services, and has found her to be a very positive addition to the staff team. Selina Whyte (Arklow)really enjoyed her work experience at Biltong meat company Thursday morning. The owner Lucas Swart talked her through the range of different products Biltong makes, the health and safety procedures, and she then had a go at making her own sausages from scratch. Selina proved herself to be very competent and learned a great deal. 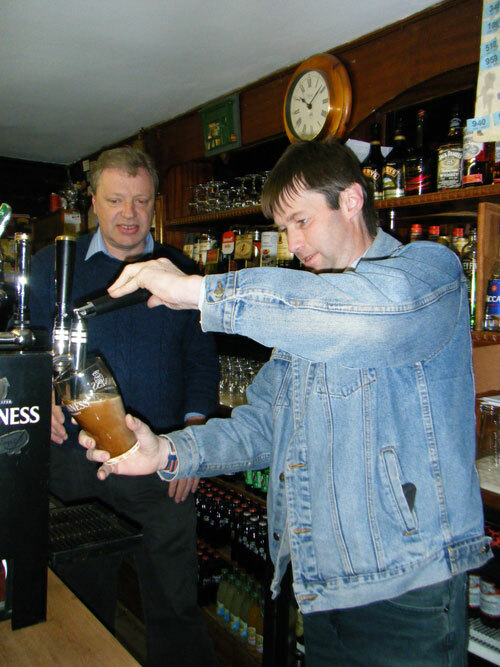 Dean Gallagher (Bray) participated in the Job Shadow Initiative in a newly established pub called Stacks on the main street in Bray and has since been offered a position at their premises. Dean is delighted with the outcome. Aisling Ellis (Kilmacanogue)gained some experience in David Martin’s Hairdressers, in Killincarrig. 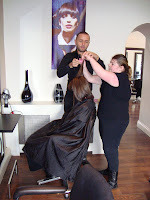 She proved that she was very competent at the tasks that she was asked to complete and really enjoyed the experience. 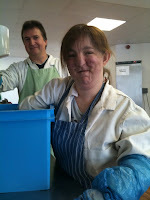 The staff there, David, Edel and Clodagh, were really friendly and helpful and were very impressed by Aisling’s work. Nathan Phillips (Bray) shadowed Gardai at Bray Garda Station while Conal Carney (Arklow) participated at Wicklow Garda Station. Both got on very well and enjoyed their experience. Connect Employment would like to thank all employers and job seekers who helped make Job Shadow Initiative such a success.